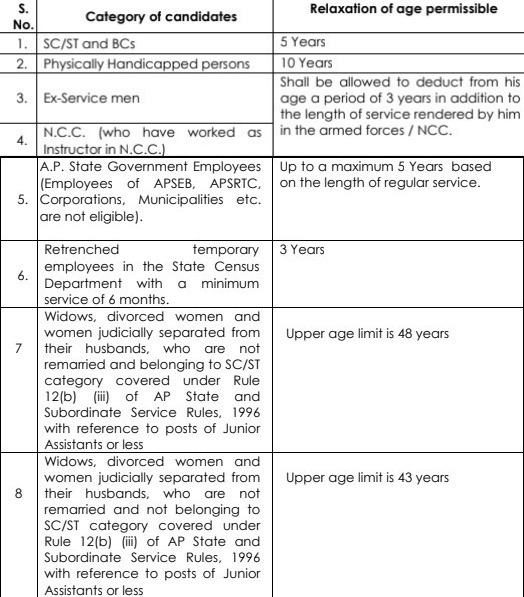 APPSC Panchayat Secretary Recruitment 2019 – Andhra Pradesh Public Service Commission, Vijayawada (APPSC) has released the admit card on April 15, 2019 at psc.ap.gov.in. The admit card is released for the screen test to be held on April 21, 2019. The Commission is conducting this APPSC Panchayat Secretary Recruitment 2019 to recruit 1051 candidates on the post of Panchayat Secretary. The recruitment process includes the screening test and main exam to be held on September 02, 2019. 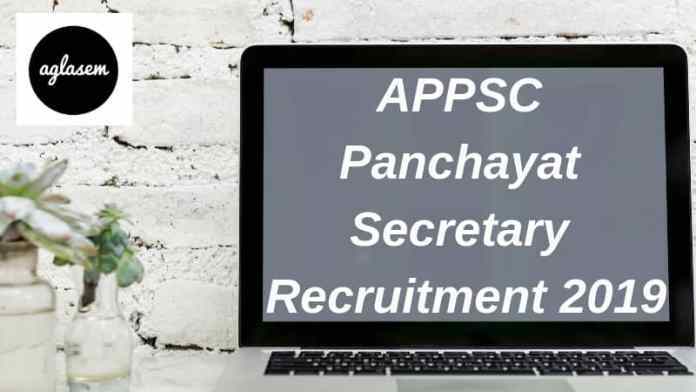 From this page, candidates can get full information regarding APPSC Panchayat Secretary Recruitment 2019. Latest: APPSC has issued the APPSC Panchayat Secretary Admit Card 2019. Click here to download it. The selection will be done on the basis of the screening test, computer-based test, and interview. For more information regarding APPSC Panchayat Secretary Recruitment 2019 check the schedule given below. Admit Card is the key to enter in the examination hall. For fetching the admit card candidates need to mention the user id and password. In the admit card candidates name, roll number, exam center, examination name. exam timing etc. details will be mentioned. It is mandatory for all the candidates to carry a hard copy of the admit card and one valid photo id proof (aadhar card, pan card, passport, voter id card etc) on the day of the examination. From below candidates can check the examination center list if APPSC Panchayat Secretary 2019. Once the exam center will be allotted it can’t be changed by the commission. From below candidates can check the exam pattern of APPSC Panchayat Secretary 2019. Exam Pattern helps the candidates to know about question types, question number, exam timing, subject name etc. Negative Marking: 1/3rd of the marks prescribed for the question. Marking Scheme: For each correct answer, 01 marks will be awarded. Candidates can only use online mode for filling the application form. Application Form has been made available at the official website. In the application form candidates need to fill up the Personal Details, Contact Details, Education Details, Qualification Detail etc. At first, candidates need to register first then only he/she will be able to fill the application form. For doing the registration candidates need to enter the User ID and Mobile No. Apply Online: process Over …….!! The recruitment will be done for total 1051 number of vacancies for the post of Panchayat Secretary. Among the total vacancies, 51 are the carry forwarded vacancies. District wise vacancy has been distributed. From below candidates can check the vacancy details of APPSC Panchayat Secretary 2019. Before filling the application form candidates should first read the detailed eligibility criteria. If the candidates founded ineligible in any stage of the recruited those will be not considered for the further recruitment process. From below candidates can check the detailed Eligibility Criteria of APPSC Panchayat Secretary 2019. Nationality – Candidates should hold the Indian Citizenship. Age Limit – The minimum and maximum age of the candidates should be of 18 years and 42 years as on August 1, 2018. Educational Qualification – Candidate should have the Degree from any University established in India or organized by or under a Central Act, State Act or a Provincial Act or an Institution recognized by the University Grants Commission. For doing the preparation of the examination candidates must know about the examination syllabus. By knowing the syllabus only candidates will be able to identify that which subject or topic is to be prepared first. For viewing the syllabus syllabs of the screening test and main examination (paper 1 and 2) click at the button given below. APPSC will release the official answer key at the official website. The final answer key will be taken into consideration for calculating marks of the candidates. Answer key helps the candidates in predicting their marks and from the answer key candidates can also estimate their chance of qualifying the examination. For each paper, separate answer key will be released by the commission. After the releasing of the final answer key result will be declared at the official website. At first screening test result will be declared and secondly mains examination result will be declared. The result will be based on the performance of the candidates. For checking the result candidates have to enter the login credentials at the login page. The result will contain the name of the qualified candidates. For more information regarding APPSC Panchayat Secretary 2019 Download The Advertisement.